Although our work is focused on hospitals in Phnom Pehn, we have had opportunities to visit rural areas in Cambodia and to try to understand the issues for providing speech therapy services to these areas. 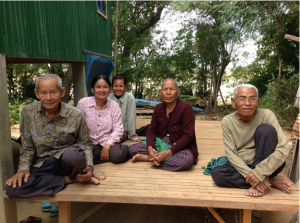 One approach could be to establish out-patient (OT) clinics at hospitals in Phnom Pehn, but there are huge obstacles for patients coming from villages, as the journey to Phnom Penh is long and bumpy. Last winter, two STC volunteers (Betsy and Laura) visited several villages, and indeed found many people who could use our help, but even if we paid for transport (which we would), many of them would be exhausted by a journey of over an hour over rough roads. So an OP clinic would not be for them. We think eventually, some regional clinics will be the key. Many villages do not have even medical clinics or pharmacies, and people are in dire straits before they make the trip to Phnom Penh to enter the hospital. 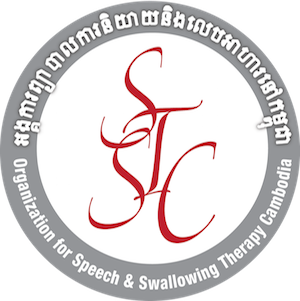 One Cambodian organization (CABDICO) has been training disability workers to help children with speech and swallowing difficulties. We hope to coordinate our efforts with this and other organizations to help bring speech therapy services to rural areas.